If you love vanilla, like I do, then you’re going to love my recipe today. This is a simple and delicious homemade vanilla extract recipe that will have your taste buds thanking you. 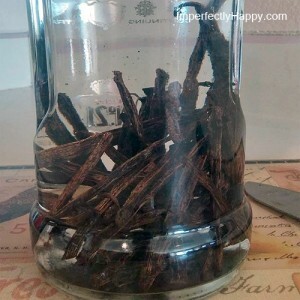 Good vanilla extract (aka not imitation) doesn’t come cheap. But it sure makes all the difference in your baking and other recipes. 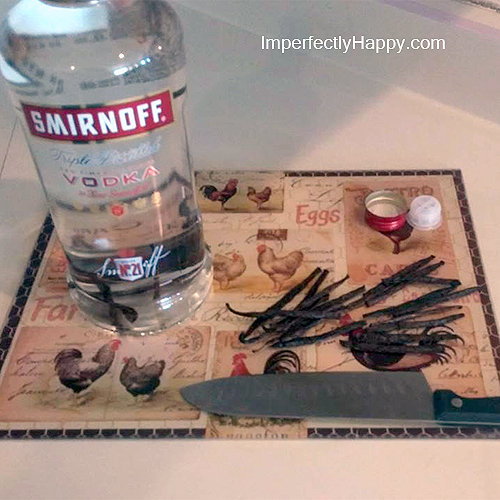 This year I am making a huge batch of my homemade vanilla extract as gifts for friends and family. You still have time to make yours too! What truly makes this vanilla extract standout is the Madagascar beans. These beans give the extract a warm, creamy flavor. But don’t let that keep you from trying other varieties for a more exotic spin. Your extract is ready in 4 – 8 weeks, depending on our deep you want your color and flavoring. I find 6 weeks is great. This should make about 59 ounces of extract…depending on how much you nipped off the top. Now you’re ready to put your extract into individual bottles. You’ll need food-grade bottles and a small funnel. You can use the adorable bottles with corks but if you’re shipping you’ll want something that is spill proof. Just make sure your bottles are food-grade glass or plastic. You may want to run your extract through some cheese cloth to get out the bits of bean; but I leave mine as-is. Now add a cute label in your own handwriting – I like these. 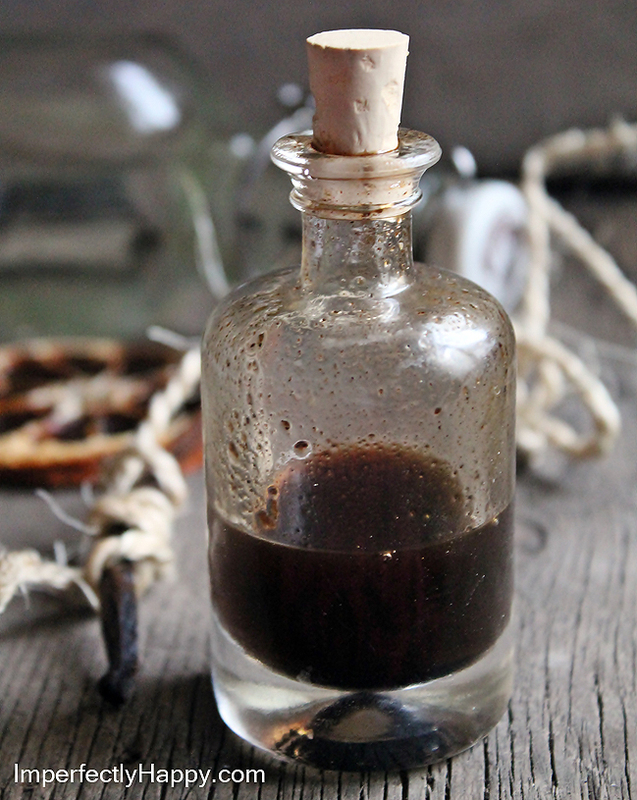 I hope you start your own batch of this simple homemade vanilla extract; you’ll never want store bought again! Love to make your own gifts and tasty treats? Check out these links!